A Lot Containing 3 Items. 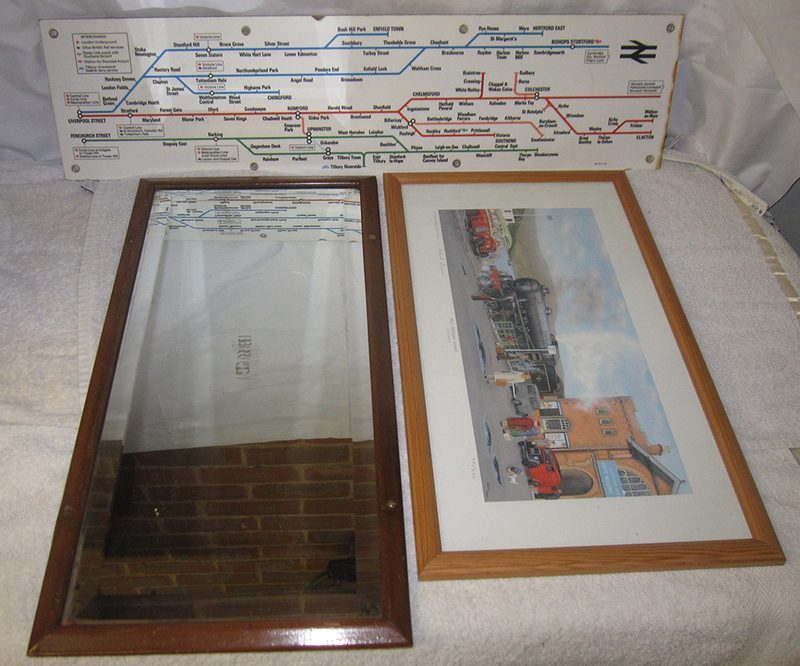 A Framed BR(S) Carriage Mirror. A Framed Signed Print By Richard Picaver West Highland Arrival No 90 Out Of 200. An Underground BR Internal Carriage Panel Map Detailing Stations On Route.